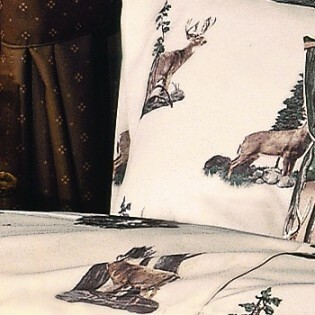 These rustic whitetail deer sheets are 180 count cotton/polyester and feature images of whitetail deer on an off white background. These rustic whitetail deer sheets are 180 count cotton/polyester and feature images of whitetail deer on an off white background. Fits mattresses up to 13" deep.